Starting Saturday, February 3rd, Ugobe will offer it’s robotic dinosaur, Pleo, for preorder. 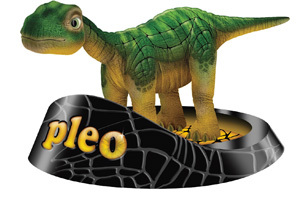 The price is expected to be around $250, and Pleo is expected to ship sometime in the 2nd Quarter of 2007 (April – June). Pleo features over 30 sensors, a video camera, SD and USB ports, a 2hr battery runtime, automatic recharging, and over 14 motors. I’m especially looking forward to how people plan on hacking Pleo. This is relevant to us since we specialize in PC based robotics. 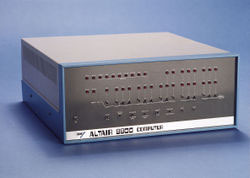 We have come a loooong way in computers in a very short time. Downloadsquad.com has a great post of 14 videos showing the timeline and evolution of computers through commercials.